Every night seven o' clock the Seoul Plaza located near City Hall Station is filled with people looking for a relaxing cultural activity. The Culture and Art event takes place at Seoul Plaza. It first opened on June 25 and is scheduled to take place until September 25. 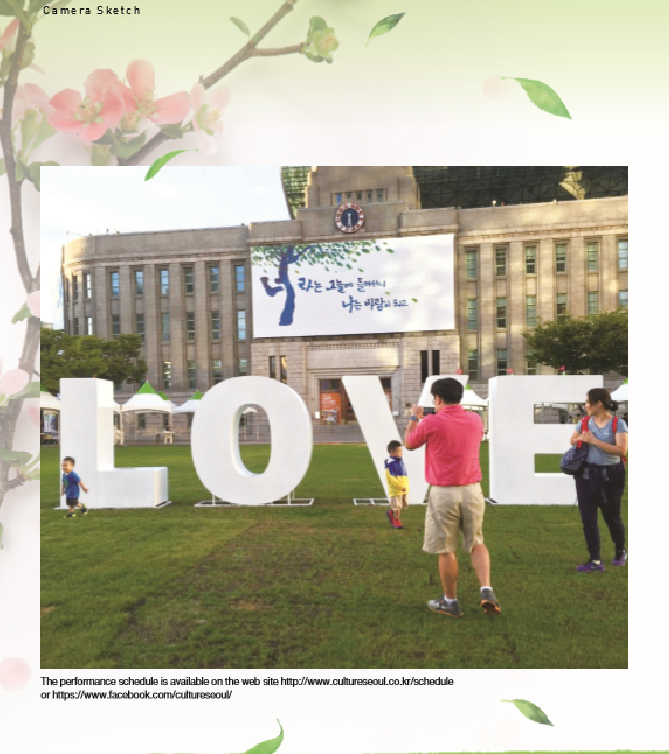 This event, which is sponsored by the Seoul Metropolitan Government, aims to provide free cultural experience for Seoul citizens as well as to provide an opportunity for artists to showcase their talent. There will be a wide array of events ready for the public from an orchestra performance to a live circus. Anyone who is interested in this lively and culturally enriching event is encouraged to come. Office workers can stop by after work and release daily stress, couples can enjoy cultural activities for free and parents with young children can provide their kids with an opportunity for new cultural experience. On August 15, the Seoul Philharmonic Orchestra played to celebrate the 71st anniversary of the National Liberation Day of Korea. “I am currently playing the viola in our university orchestra and I was so amazed to watch a professional orchestra performance outdoors for free,” said Wang Ha-rim, Sophomore at Dongguk University. Enjoy the cool breeze of fall with a new cultural experience.